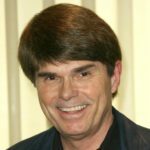 Dean Koontz is an American author. His novels are broadly described as suspense thrillers, but also frequently incorporate elements of horror, fantasy, science fiction, mystery, and satire. Many of his books have appeared on The New York Times Bestseller List, with 14 hardcovers and 14 paperbacks reaching the number-one position. Koontz wrote under a number of pen names earlier in his career, including “David Axton”, “Leigh Nichols”, and “Brian Coffey”. He has sold over 450 million copies of his work as reported on his official website. "I try not to spend too much time on partisan politics. Life’s too short for that. I don’t really believe that there have been many human problems solved by politics." "There’s sometimes a weird benefit to having an alcoholic, violent father. He really motivated me in that I never wanted to be anything like him." "What we do as a society is seek simple answers." "Nothing gives us courage more readily than the desire to avoid looking like a damn fool." "Although charismatic, James Dean is no Harrison Ford. In the majority of his movies, sooner or later he got the crap beaten out of him." "One of the things I like enormously about Bob Weinstein is that that he’s the only studio head I have ever known who will change his mind and say he was wrong."